Amazon announced on Wednesday (1/23) that it will begin a pilot program near its HQ in Washington state to use its own delivery robots called Amazon Scout for last mile deliveries. The pilot in Snohomish County, WA, will use 6 Scouts and only on weekdays during daylight hours. They will be accompanied by Amazon employees to make sure all goes well. The familiar-looking 6-wheeler looks similar to other delivery robots though it was developed in-house by Amazon. Delivery ‘bots are nothing new (see: Kroger, Eat24, DoorDash, Dominos), but it has a much bigger implication when Amazon is involved. It seems that the Amazon drones that the company promised a few years ago have been pushed aside for now. Serve will be rolling out in various cities over the next year, starting in Los Angeles. It does deliveries to customers that unlock its cargo hatch with their phone or a passcode, but it also can grab food from restaurants in congested areas and bring them to a Postmates dispatch hub from which delivery people can take packages the last mile. Serve can carry 50 pounds of goods for 25 miles on a single charge — enough to make around a dozen deliveries per day. “We took time to figure out what is the language for the rover and pedestrians to interact with each other. If a robot is at a sidewalk and wants to be able to cross the street, it needs to show its intent to cross,” Kashani tells me. Thanks to a light ring around the top with turn signals and eyes that can indicate where it’s trying to go. Why it’s hot: Watch out Uber Eats and Seamless! If executed properly, this could streamline delivery efficiencies and cut down on labor costs for Postmates. America’s largest grocery store, Kroger, has announced plans to launch a driverless home delivery service. A pilot program will kick off in the fall in partnership with Nuro, the self-driving car company started by former Google engineers. Leading up to the launch, Nuro is using a fleet of six self-driving cars to map ideal routes around Kroger locations. The vehicles are designed to operate on public streets, and will continue to be tested in heavy traffic and a range of weather conditions. When the service becomes available in the first, yet to be announced test market, Kroger customers will be able to request a delivery via the Kroger delivery portal or Nuro app. The vehicles which have two temperature-controlled compartments will be loaded up with up to 12 grocery bags. When they arrive at their destination, customers will have to come to the curb or their driveway and enter a PIN code or otherwise verify their identity to retrieve their groceries. 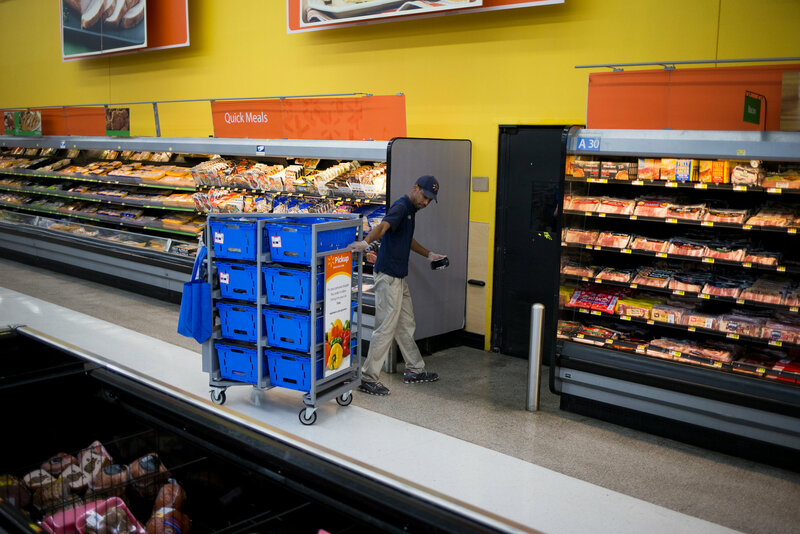 While for many this will be a welcome improvement in grocery delivery, it may not be as liked by those customers who currently use Kroger’s same day delivery service and enjoy having a person to carry the groceries right to their door. Consumers have increasingly high expectations when it comes to on-demand delivery. 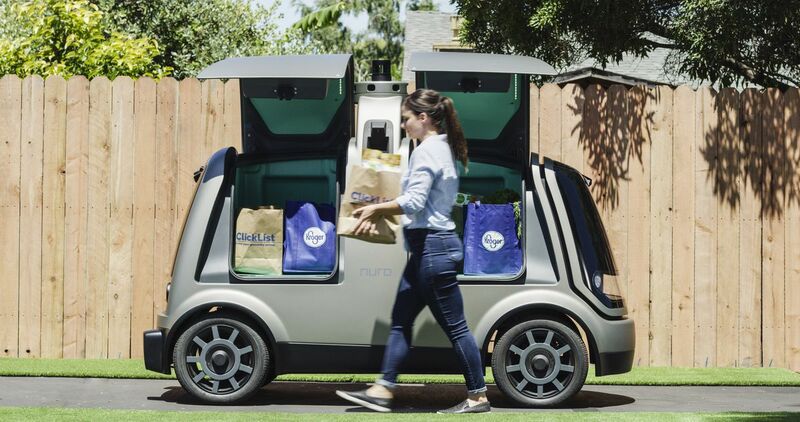 As Nuro and other self-driving car companies perfect their technology and optimize their routes, there is likely to be a major overhaul in how groceries, laundry, and other items are delivered. Amazon is delivering more than just your packages these days — it is also delivering photos. As part of the company’s efforts to make it even easier for you to receive your online orders, Amazon has taken to taking photos of your doorway to show exactly where your packages are being deposited. This will hopefully cut down on customer confusion, and also serves as photographic evidence of the successful delivery of your precious cargo.Amazon’s new picture-taking practice might also allow delivery folks to leave packages in more inconspicuous spots, like behind a bush or in a flower pot, as USA Today notes. 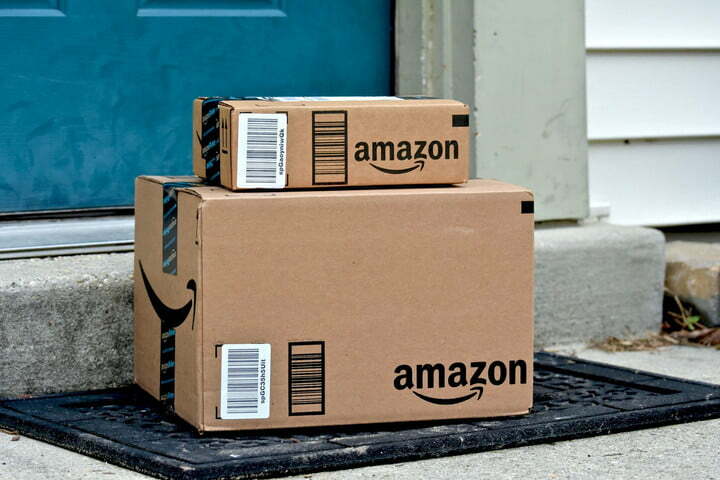 Given the rise in package stealers, having a safe and somewhat surprising place to put your packages may not be such a bad idea and being able to document where that place is makes things easier.The new service is called Amazon Logistics Photo on Delivery and according to a company spokesperson, is “one of many delivery innovations we’re working on to improve convenience for customers.” Amazon Logistics in and of itself is one of those delivery innovations — it’s an Amazon-owned delivery network that is completely separate from other delivery services like FedEx or UPS. And while the Photo on Delivery program has been rolling out in batches for the last six months, it’s becoming more widespread. Now, folks who receive packages in the Seattle, San Francisco, and northern Virginia metro areas will likely be receiving photographic notifications of their delivery’s safe arrival. Of course, if the thought of someone taking a photo of your property doesn’t really sit all that well with you, don’t worry — Amazon is giving you a way to opt out of the feature, too. Simply head over to the Amazon website and navigate to the help and customer service tab. From there, you should be able to tell Amazon folks not to take an unapproved photo (assuming the photo-taking option is even available to you). But if you’re interested in seeing exactly where your packages are at the end of the day, Photo on Delivery may be the feature you have been waiting for. Could this be data collection disguised as innovation? Or a way to cut down on false claims of lost packages and package stealing? In any case, I have always wanted my packages to be more inconspicuously placed and now they can be. Plus, why not gameify it? “Alexa, where’s my package”? 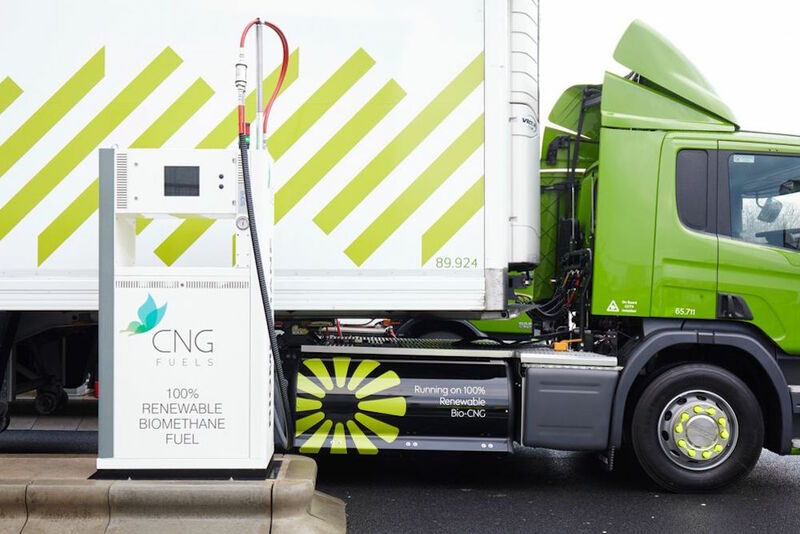 British supermarket chain, Waitrose, already a leader in sustainability practices, is now using biomethane gas (provided by CNG Fuels) from food waste to power its delivery trucks. Similar to the efficiency efforts in food distribution of Norway supermarket delivery trucks, Waitrose trucks can travel up to 500 hundred miles on a batch of vegetables. Consider this: in the United States, commercial trucks only get six miles to the gallon of gasoline, and we throw away 40 percent of our food waste per year. Quieter and more cost efficient, the Waitrose trucks pose a convincing model not only for other food purveyors (like fast food chains), but also industries that rely on trucks for distribution. Sustainability is key for brands today — because more and more consumers are rallying around brands that care about causes, and care about the greater good. 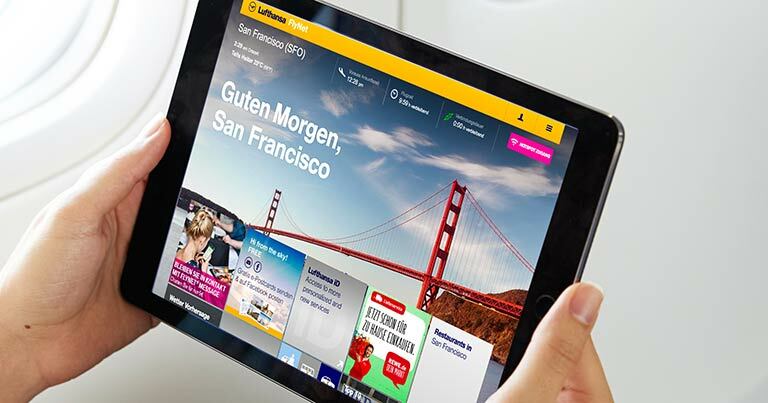 It becomes really interesting when a brand leans on technology to erase it’s own footprint. Imagine the impact if every brand and everyone was challenged to do the same? Bipedal robots have been a tough ask for engineers. Creating a bot that’s steady, self-balancing, and able to adapt to uneven terrain (one of the main advantages of going bipedal in the first place!) is a tough ask. But, as this newly unveiled bot from Agility Robotics proves, we’re getting good at it. Like ostriches (and humans), Cassie has three degrees of freedom in its hips and flexible, powered ankles, but knees that only flex one way. This creates not only a natural gait, but a way to steer that’s similar to our own. As with ATRIAS, quick and careful placement of the feet makes Cassie resistant to slips, stumbles, and the occasional malicious grad student. Cassie can go pretty much anywhere humans can. Rocky ground? Stairs? It could be used to make search-and-rescue bots; to help improve prosthetic limbs or exoskeletons; and, could also perform dangerous jobs like nuclear plant inspection. If the bots become cheap enough, it can deliver packages, and if you’re busy, why not send Cassie to the store? AB InBev is waging war on the beer run with a new app that lets drinkers have Bud Light delivered to their doors. The Bud Light Button is only available to drinkers in Washington, D.C., and promises beer within one hour of ordering. AB InBev has partnered with a third-party beer delivery service Klink to use independent offices to deliver up to 100 cases of beer. The app uses credit-card details for payment and, presumably, to ensure the buyer is over 21 years old. Along with beer delivery, AB InBev is looking to inspire ‘YOLO’ moments with extra ‘Up for Whatever’ experiences. The idea is to throw surprise parties for customers picked at random, to match with the brand’s tagline: “The perfect beer for whatever happens”. “Whatever, whenever” seems to be a trendy campaign for beer lately, with Heineken operating under a similar messaging strategy. In the age of Uber and Seamless (plus alcohol delivery services spouting up left and right), it makes sense that a brand would want to be front and center of the “get it now” Millennial need. However, I’m sure there are other services that will deliver a variety of beverages for a party — why would someone want just Bug Light? I guess we will see!